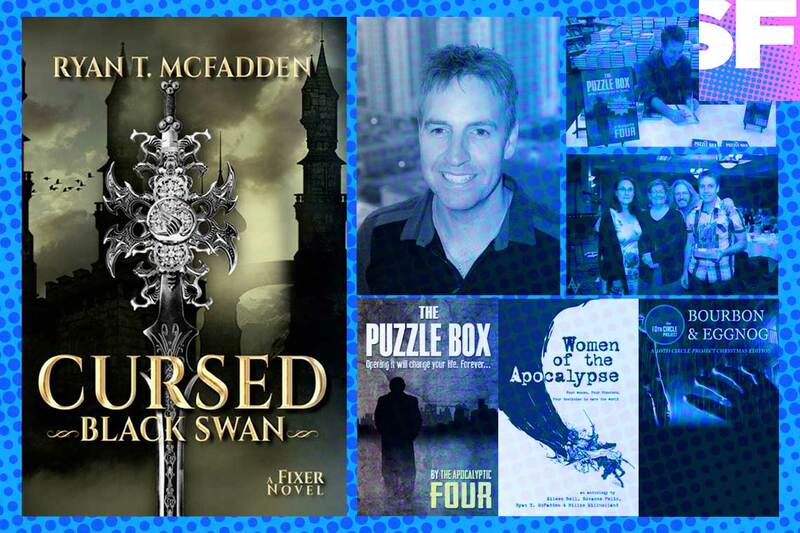 This week Brian interviews Ryan McFadden, the author of the brand new novel Cursed: Black Swan (A Fixer Novel). This is Ryan’s first solo project, but he is a three time Aurora Award Winning novelist. You’ll hear all about the thirteen year journey that Cursed has taken, and how he’s an overnight success 43 years in the making. You can buy Cursed: Black Swan (A Fixer Novel) right now on Amazon. In addition to the interview with Ryan, Brian and Liam also discussed their comic picks of the week, they talked about starting and stopping Liam’s Facebook account, the problems with Echo Chambers, Fallout 4, Star Wars Battlefront, and Marvel’s Jessica Jones. This week Liam inadvertantly chose two books. Gaston LaGaffe – A French language tale of an office worker. Tales of the Maser – Published by Heavy Metal, created and written by Massimiliano Frezzato. Brian’s pick this week is Bloom County 2015. Berkley Breathed is back with an amazing new run on Bloom County.